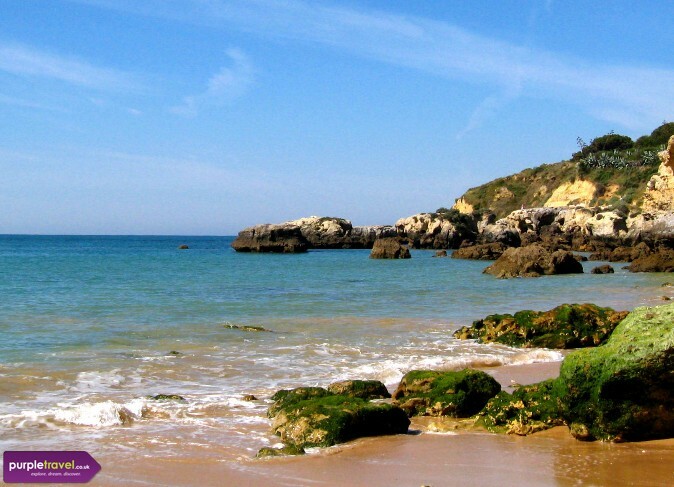 Translated as the golden beach, Praia Da Oura holidays offer a gorgeous, golden beach that is ideal for complete relaxation and soaking up the sun. With plenty of shops, bars and restaurants and a vibrant nightlife, the lively seaside town of Praia Da Oura has everything you need for a brilliant sun holiday. Book cheap holidays in Praia da Oura in the Algarve now with Purple Travel for the best value sun, sea and sand. Good for all ages, Praia da Oura has something for everyone!! Couple of malls and day trips will keep the kids happy, while the weather is just great. We found a couple of very reasonable eateries and overall felt it was great value. A typical resort holiday, there’s a strip which I reckon is the place to go if that’s what you’re into. For me, the beach was a pleasure, while the old town is quite charming, with people hanging around, sipping coffees or just chatting. The locals were very friendly, and I’d be happy to go back.